Sometimes, when you're challenge-driven, really great things manage to happen despite yourself. This is my birthday month. I tend to get very, very thoughtful about my clothing in the month before my birthday. I have already made a couple of trips to Goodwill to pass on things that don't fit, never fit well, I don't wear often, etc. And mostly, I think a lot about whether my clothes reflect that I am aging gracefully. So a mess of babydoll dresses and junior-cut clothing went to Goodwill. This August also marks the 6-year anniversary of my first sewing class in garment construction, so I did end up parting with quite a few items of clothing that I made with my own hands. This was harder than I thought! There were just a bunch of tops where the armholes and sleeves are not comfy. Beyond repair. They had to go, and hopefully to someone whose body fits more comfortably into those clothes. This also signals to me a pretty significant point in my sewing, where I have some good basic construction techniques under my belt, and it's time to learn some specialized skill that goes deeper in one particular area. Master something, as it were. Not sure what that is, and in Austin I'm not sure there is anyone with the expertise, interest, and time to teach someone like me to go deep into one skill, like armholes and sleeves (my sewing guru has moved out of state). So maybe it is time for me to go into the realm of sewing expos and sewing conferences. I've seen lots of ads for online classes, but I am very much a visual and experiential learner and prefer a hands-on, in-person, instructor-led classroom. Do you have any feedback on the online classes for specialized skills? Have you been to the big sewing conferences and taken classes there? How did they go? I think the dress looks great! Though, I hear you on the frustration that comes with projects that don't turn out quite how you want them too. I get analyze-y around my birthday, too. I think it's cool that you parted with things that weren't making you feel great, even the difficult handmade ones. I've never been to a sewing conference, though I'm mighty curious. I've paid for some Craftsy classes, but I can't give any real feedback because I haven't really used them yet. Hey there, thanks for your thoughts. I think I had a couple of those projects last week (didn't turn out like I wanted), though I only blogged this one so far. And I ended the week with a big win, which I have yet to post, but it's a quilt win, not a garment win... Currently stuck in analysis paralysis as far as my next garment project. Let me know about the Craftsy classes! I've been thinking about taking one, too! I think the dress looks great. I understand how frustrating it is when things don't work out as planned. I've never done an online class or sewing conference. Have a great weekend! Thank you. Happy weekend to you, too! don't know squat about sewing classes. I think it looks GREAT in the pix. Maybe it needs some time in Mary Nanna's Magic Closet??? I'm totally with you on "oh this will be super quick" and then x hours later it's still not done....(butterick ruffle dress springs to my mind...the shirt I made for my friend...the New Look that is stalled on my dressform....) LOL! We'll talk sewing conferences when you're here. I need to read back up on Mary Nanna's Magic Closet. I get the gist, though, and perhaps it does need time there. Ironic, though, that it goes from sitting in a lump in the to-be-refashioned pile to a hanger in the Magic Closet. Good to know I'm not alone in my still-inaccurate estimates of sewing time. I need a sewing fairy to wave her magic wand over my projects when I'm about to scream and throw them in the garbage, so they are magically finished! 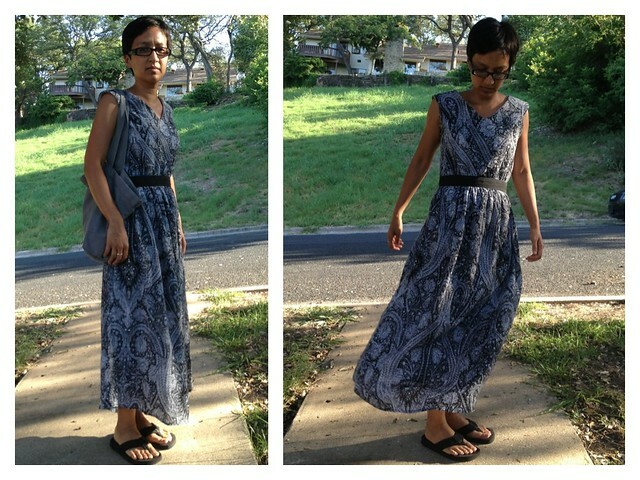 I took a Craftsy class (Couture Dress) and I found it useful. My problem though it's fitting and for that I would need a live teacher. So I think some things are great to learn online via videos, blogs and tips...but others require face-to-face learning. The other issue is that you may want to learn something very specific that only a private tuition can offer. I am sure you will find far more in Austin than I can in the small area I live in. Thank you so much for your feedback on the class! I considered that same class. I worry a little about schedules, like whether I would really make the time as I would if a live instructor and other students were waiting for me. There are a lot of classes in Austin, and over the last 6 years, I've taken many and ruled others out. It is a craft-heavy city, not so much in terms of serious clothing construction. I'm having breakfast soon with a good sewing friend (we took intro to patternmaking together 5 yrs ago), and she teaches classes locally, and I will ask her for suggestions. First of all, happy birthday month! I won't even ask how old you are/will be because you look young as ever! I think it is so great that you're taking your birthday to celebrate 6 years of sewing and to reflect on and purge any unwanted items. About becoming an expert in a particular area of sewing or pattern making (i.e. armholes). I hear you! I felt that same way before I went into tech design. I was so eager to become an expert on all types of garment construction. But you know what I figured out? No job, conference, or seminar will teach you the amount that you will teach yourself. Although I dealt with clothes each an every day, I account my extracurricular work for giving me the most knowledge. I felt that I learned the most about armholes when I read all the information on armholes - cross checking what each had to say - and then using my own experience to come up with WHAT I BELIEVE and WHAT WORKS FOR ME. Also, my blog has been a great source of learning too. Because of it, I continue to research new areas of sewing and pattern making. Thanks for the go-get-em! :) I feel a solid class offers structure that I benefit greatly from. I have good books, and my challenges come down to time and focus -- I can read up on the sleeve, work on a garment till it gets funky, put it down in frustration, and not come back to it for a while. Or "real life" might get busy so I can't work out kinks and it becomes an unfinished object for a while. 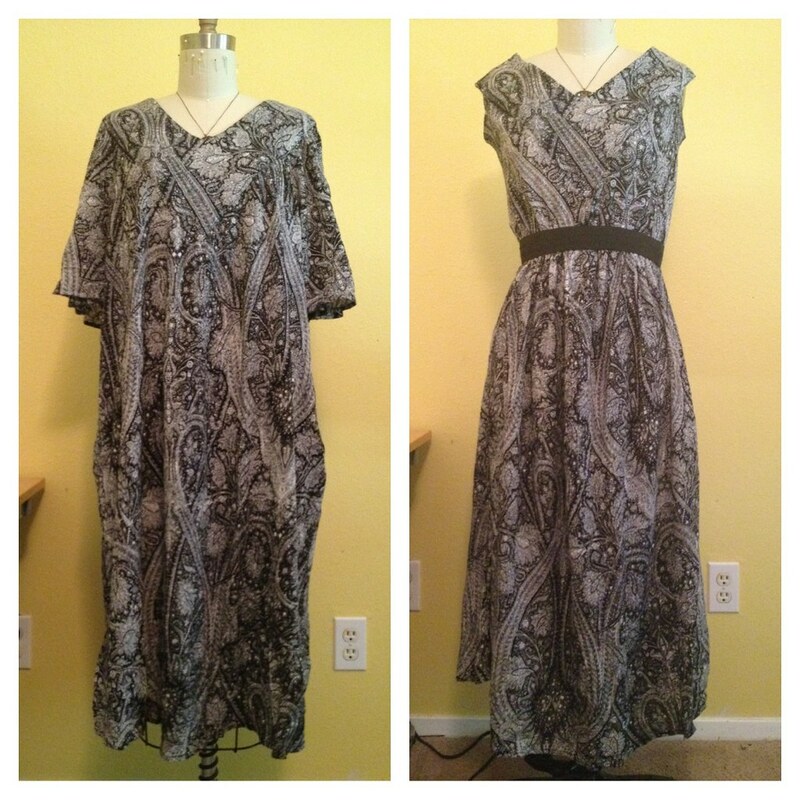 I might remember to bring it to a sewing meetup to ask for help, or take pics and blog for help with it. By the time I return to it, I've forgotten which book said what, why I did what I did, etc. At the moment, as far as classes go on sleeves / armholes, tailoring, all the things I really want to learn -- I'm on my own anyway! Just checked yesterday. So I need the go-get-em cheer! You look beautiful in your dress! I hope you can enjoy your birthday! It's so hot right now, your maxi dress is perfect. Awww, thank you! My birthday isn't for another couple of weeks, but I have begun to celebrate the entire month! ;) Yes, the heat will be here a while longer, and these dresses also provide more coverage from mosquitos. Nice dress, and your commentary on the assembly process really made me laugh! 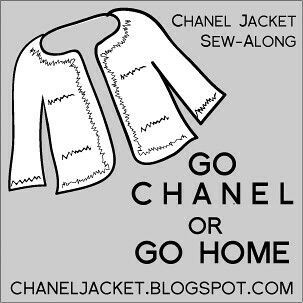 Refashioning is like that, isn't it? I also live in a creative desert, since the only option for classes around here are the Joann Fabric ones and I could probably teach that level. :P I've taken classes on both Pattern Review and Craftsy. Though, technically, I'm still working on finishing up my first Craftsy class. I've learned valuable things from both, though I'm inclined to like Craftsy's better because of the videos, and being able to take it at my own pace. It's just working a lot better with my life right now, not having to stick to a schedule. The instructor has been pretty good about giving feedback quickly when I ask a question, too. Good luck finding something! You can't tell from the pictures that the dress has any problems. It looks good from this side of the screen! Maybe a home based seatstress or tailor would be willing to act as a tutor? Or some sewing maching stores offer classes on specific topics. I like the term "challenge-driven". That describes me - "It would be perfect if a,b,c,d,e... and I can do all of those things! In theory"
Nice refashion, the dress looks great on you!